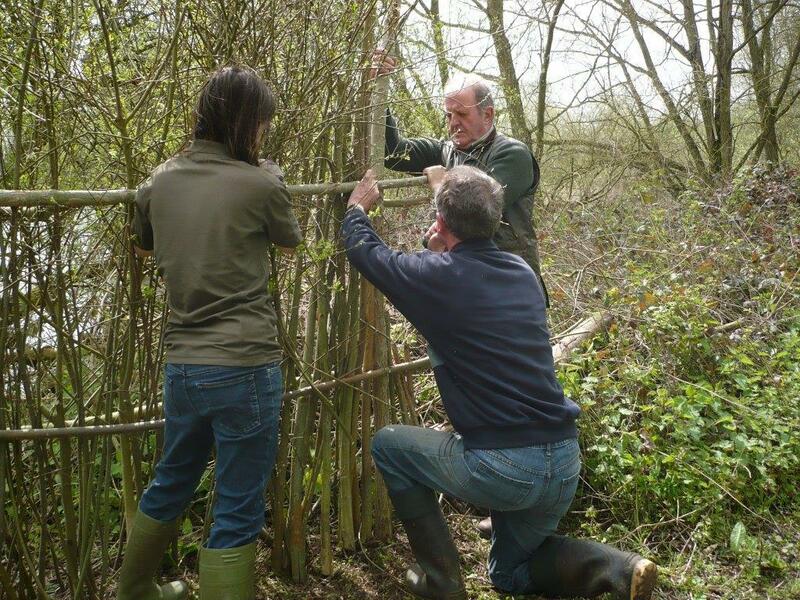 Whelford Pools is our long term project near Fairford which involves our members assisting Gloucestershire Wildlife Trust with environmental and conservation work around the lakes. It's a great day out once a month, with the satisfaction of seeing that we have made a difference at the end of the day. This month’s visit was to the Round House Lake where we joined another group of volunteers for a good winter’s clear up of overgrown hedges and brambles. The splendid resulting bonfire was a welcome way to warm up. A small group also rowed across to the island on the lake to burn other material cut previously. The weather was not ideal for photography so I’ve included a photo from our visit a couple of years ago to see the orchids in June. Rotary have been helping with conservation work at Whelford Pools for more than twenty years now and our contribution is much appreciated by Gloucestershire Wildlife Trust. Last year we donated money towards the cost of extending the dipping platform at Whelford. This year the Trust have secured funding from Tarmac to replace the first hide there which is now rotten and beyond further repair. Our next visit will be on Tuesday, 19th February. If you would like to join us then please get in touch with me on 01285 655991.